Ten crews from international helicopter sport battled it out at the 4th Heli UK Expo for not one but three competition titles over two days flying two events – the parallel slalom and the parallel fender. 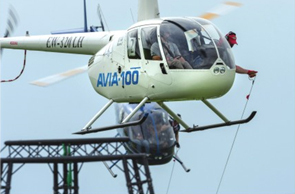 The world’s best helicopter crews from Austria, Belgium, Belarus, Russia and the United Kingdom took to the airfield to fight it out for three separate titles. Two helicopters fly on parallel courses at the same time to complete the courses. The first day saw the slalom – a bucket full of water on a five metre rope being flown up and down a course of twelve gates ending with the bucket landing on 30cm table a metre off the ground. The second day consisted of the fender event. A boat fender is flown on a four metre rope to the first container and placed in to it. The rope is then extended to six and then eight metres being placed in to further containers. 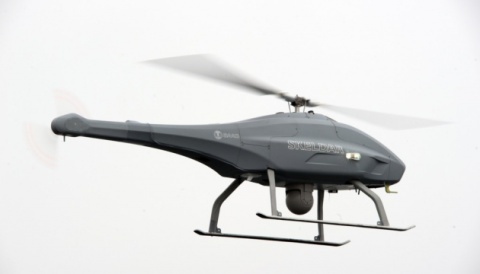 It’s all about precise and accurate flying against the clock. 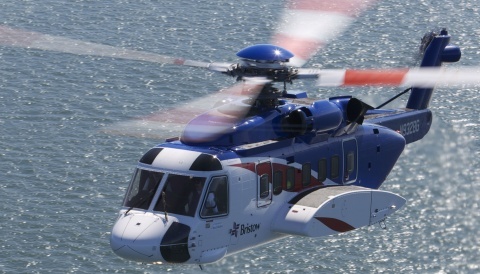 The UK held the first ever leg of the brand new race event, the Helicopter World Cup. This event is new this year and involves seven legs in seven countries with the winners being crowned at the last leg of the event. Stage One had gold, silver and bronze medal places available along with the all-important points that require to be accumulated to launch the crews towards winning the overall titles. 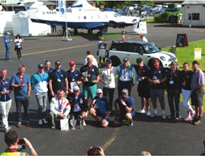 The second event was the 3rd Heli UK Expo Challenge Cup. This event was an open event so any one of the ten crews could walk away with the trophy. The current holders are the UK but there was tough competition. The third event was the highly prestigious “Queen’s Cup Air Race Challenge Cup”. Awarded personally by Her Majesty Queen Elizabeth II to the Royal Aero Club of the United Kingdom. Annually the Royal Aero Club awards the hosting of the air race to one of its member organisations, this year the Helicopter Club of Great Britain won the nomination for 2017, appropriate with it celebrating the 50th anniversary. The Queens’ Cup could only be won by a crew from the UK and would be battled out over the best of three in the fender event to find the winner. With so much at stake the competition was going to be fierce. Russia are the current world champions and are the team to beat. First up was the qualifying to see who would be drawn against who, best of three to finalise the days running order. All were immediately down to business with the odd hint of nerves as the crews got in to their strides mastering flying a bucket on a five metre rope. The draw saw the top two British teams against the best from Russia, Belgium against Belarus and the Austrian’s hot shots against British newcomers Andrews and McCulloch. Both Russian crews pushed the Brits off the score sheet with early favourites Yablokov and Podoinitsyn putting Monks and Barklem out. Perhaps small consolation being that Yablokov had the best time score in the slalom against Monks and scoring a clear round in just 76 s econds. The other British hope in the form of Rimmer and Rimmer were dismissed by the second Russian crew who were averaging 110 seconds with marginal mistakes. The quarter final saw Orehkov of Russia against Tsenter of Belarus and Yablokov against Morgenstern of Austria. The Russians quickly settled in to good flying with Orekhov and Yablokov both easily reaching the final. With the Russians going head to head in the final best of three, the nerves quickly started to show. Oehkov started faultlessly with Yablokov appearing to lose his form from the previous rounds scoring three faults compared to a clear round from Orekhov. The second heat saw a determined Yablokhov turn the tables on Orekhov bringing it back to one all with everything to play for. With barely seven seconds separating them in time it went to the number of faults handing the victory 2-1 to Yablokov and Podoinitsyn. Orehkov had to settle for second with Tsenter and Striynock grabbing third place keeping Austria out of the medals. The same format to set the flying order started the competition for day two, the turn of the fender. Qualifying saw Yablokov recapturing his form from the previous days flying recording the lowest qualifying time of 39.18 seconds with a clear round. This time the draw would see the two Russians up against each other in the quarter final and the other quarter final was Tsenter of Belarus against Morgenstern of Austria. The Russians battled it out with as little as two seconds separating them and Yablokov held his nerve to secure the first place in the semi-final. The other semifinal saw Tsenter and Morgenstern putting in clear rounds with everything hanging on timing. With one leg each, the crew from Austria were hot on the heels of the Belarus crew who flew fast and faultlessly to secure the second place in the semi-final. Third and fourth was a Russia/Austria battle with the Austrian crew flying without incurring any penalties to secure a medal position. Yesterday’s winners, Yablokov and Podoinitsyn were now facing Tsenter and Striyonock for first place. Both crews were showing not a hint of nerves as the starters flags dropped. Both with clear rounds and less than sevenseconds difference in time, round one went to Yablokov. With best of three to be played out, the crew from Belarus had everything to fight for. Two clear rounds and the fastest two scores of the fender with Yablokov winning by just under six seconds handinghim and Podoinitsyn thedouble with gold medals in fender and slalom. 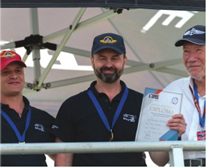 As the Heli UK Expo Challenge Cup is an open event – this handed the Russian champions the triple. After two days of fantastic flying there was the Queens Cup Air Race Challenge Cup final to be flown. The top two British crews were going to battle it out, best of three to lift the Royal Aero Club trophy. 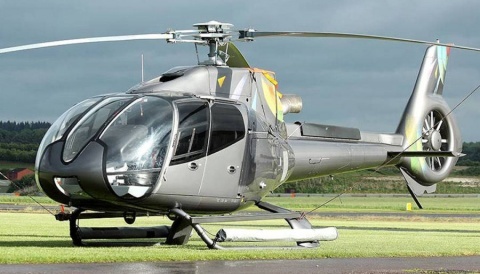 The two crews taking part were British Helicopter Team captain, David Monks and his co-pilot Hugh Barklem in R22 G-ZAPY . They would be flying against father and son team Stuart and Chris Rimmer in their R44 G-IBMS. Both crews had fared well against the Russian might and now it was time to see the best of British showcased against each other – best of three with the winner picking up the historic Queens Cup. As the starter flags dropped Monks and Barklem where first off the blocks flying a fast fender but with several penalties, the steady hand of Stuart Rimmer handed round one to him. The second leg saw a cautious Monks complete a good run with Rimmer also employing steady tactics to ensure the best score possible. The second one went to Monks giving one all. With the prestigious Queen’s Cup at stake it would be down to who could hold their nerve the longest. The crowd were well and truly behind both crews and this final was down to the last flight to separate the pair as someone had to win. Both crews set a determined pace. As the flew almost neck and neck up the course, the crowd cheered them through with both helicopters returning to the start line whilst the judges double checked the scores in this nail biting final. Victory was handed to Monks and Barklem with a score of just eight points separating them from Rimmer and Rimmer. A spectacular and entertaining final, two excellent crews flying their best to entertain the crowds. Two days of amazing flying from ten excellent crews not to mention the support of the judges, scorers and ground crew to make the whole event possible. 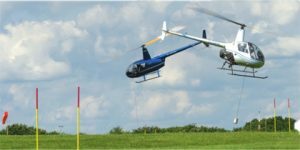 Two historic firsts for the Helicopter Club of Great Britain as they hosted the first leg of the first Helicopter World Cup and the Queen’s Cup Air Race Challenge 2017, the Cup has not been awarded to a rotorcraft competition before.